Translucent powders are a big hit or miss product, especially on darker skin tones. It’s quite difficult to find a good white translucent powder that does not leave you with a white caste on your face or terrible flashback. I’d heard of the Fashion Fair Oil Pressed Powder a few years ago, so I was very intrigued to give it a go when I received it recently. Fashion Fair claim that this is a translucent silky pressed setting powder that is oil-absorbent and eliminates shine. They also claim that this ultra-fine pressed powder perfectly sets your makeup for longer wear with stay-true colour that never cakes on the skin. Special skin conditioner minimises and softens the appearance of fine lines without leaving the skin dry. 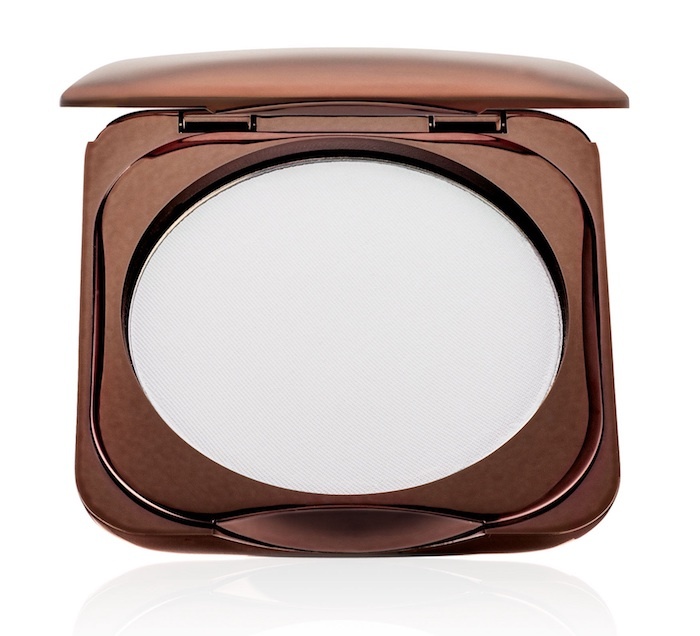 The powder is packaged in a sleek metallic bronzed compact with a decent sized mirror and a powder puff applicator. This product was originally presented as a loose setting powder, which I can definitely see as being a little messy. I’m very glad they decided to create a pressed powder version, as it makes it more travel friendly. I tried the one in Sugar and I found that this powder worked very well for me. It helped to keep my oils in place for a decent amount of time, and I never feel the need to reapply. However, I must note that I do not typically reapply any makeup throughout the day. The powder helped to set my foundation in place, and it also gave quite a natural finish to the skin. If you apply too much, then you can run the risk of your makeup appearing ‘cakey’. I also feel that the powder is very finely milled, as it appears to be quite lightweight on my skin and blends in beautifully. If you are still in doubt about trying a white translucent powder, then Fashion Fair have released a total of 11 of these powders in varying shades for deeper skin tones. With regards to flashback, I haven’t yet tested whether or not I experience this. However, I haven’t found that this makes me look ashy, but instead it seems to give a sort of HD affect (although this is not claimed by the brand). I also found that as this is a translucent powder, I do not tend to notice much transfer, as if there is any it’s a clear powder so not so visible. Finally, although this powder really soaks up my oils, it doesn’t dry out my skin. The Fashion Fair Oil Pressed Powder is priced at £25.50 and can be found in Debenhams or on the Fashion Fair website.